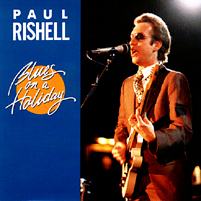 One of the best and most innovative blues duos in the world, with a musical rapport and a wide embrace of styles, from Delta heartache to Chicago drive, W.C. 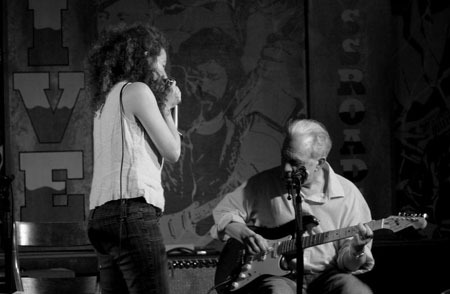 Handy Award-winning blues duo Paul Rishell and Annie Raines bring their magical combination of soulful vocals, National steel guitar, and sizzling blues harp to the Luckart Gallery by Boccabella's Restaurant in Newton, MA. Singer-songwriter-crooner Brad Bensko will open the show. 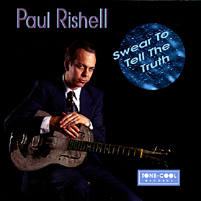 Paul Rishell honed his craft in the 1970's, playing alongside greats such as Son House, Johnny Shines, and Howlin' Wolf. 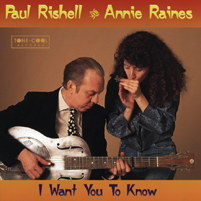 Annie Raines, hailed as one of the country's top blues harpists, and one of the few women blues harp players, carries on the tradition of great players James Cotton and Little Walter while adding her own soulful drive. 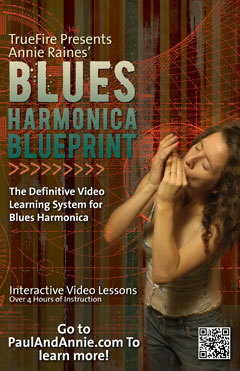 The duo was nominated for Acoustic Artist of the Year for both the 2009 and 2010 Blues Music Awards in Memphis. 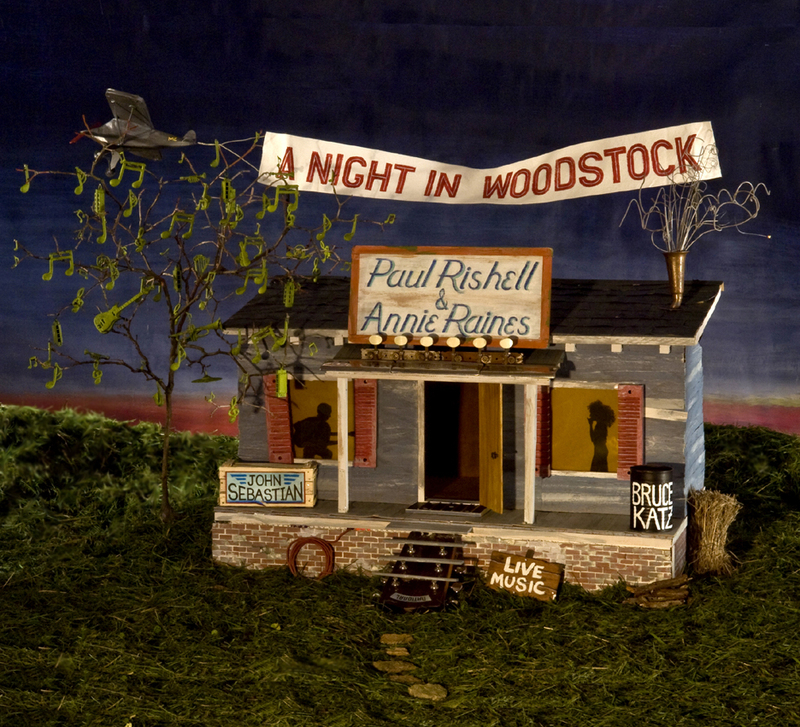 Rishell and Raines are hosting a series of concerts at the Luckart Gallery this spring in collaboration with neighboring Boccabella's restaurant. A light fare menu and full bar service will be available during the show. Sit-down dinner is available next door at the restaurant. Reservations are strongly suggested as dinner seating is limited. The Luckart Gallery and Boccabella's are located at 438 Lexington Street in Auburndale center. There is abundant parking in the lot across the street. Wheelchair access is unfortunately limited. Admission is $20 / $15 students and seniors. 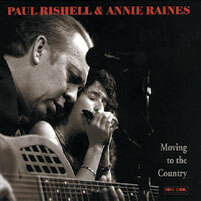 For more information, visit us at www.paulandannie.com for directions, performer links, and advance tickets. For dinner reservations call (617) 928-1200. 2 early shows: 3:30 and 6:30 - bring Mom! 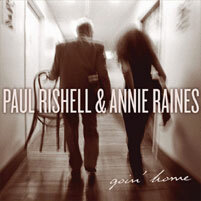 PAUL RISHELL AND ANNIE RAINES HAVE OPENED FOR: Ray Charles, Little Feat, Asleep at the Wheel, Susan Tedeschi, Leon Russell, John Hammond, Dr. John, and John Sebastian.